We can't speak for you, but we're sick of having to open our laptops. All that effort going into to opening the screen so we can work - hours wasted, energy spent, and those occasional moments when you go to open your laptop in a public place, your finger slips, and laptop does that little jump. Embarrassing. 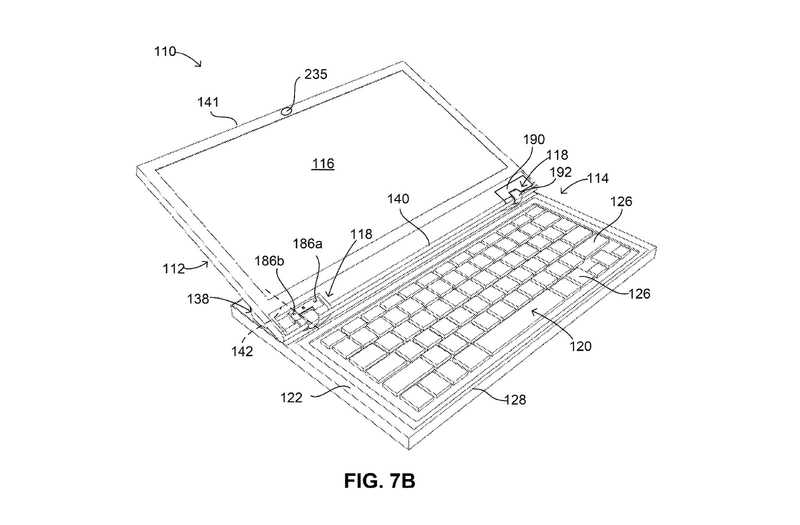 Fortunately Google is here to fix our wasted lives with a new patent for a laptop that opens itself. Sing hallelujah! Seriously though, as fun as this sounds, there could be other uses for a motorised laptop lid. For example, the screen could constantly adjust itself based on the angle of your face, meaning you always get the best possible view. The laptop could also close the lid automatically - and possibly secure it - when you walk away, preventing anyone from reading your screen. Actually, why don't lockable laptops already exist? The full patent, which can be viewed in full here, makes for interesting reading. With a resurgence in facial recognition systems used for security on mobile devices, it is very likely that a motorised feature such as this is right around the corner.